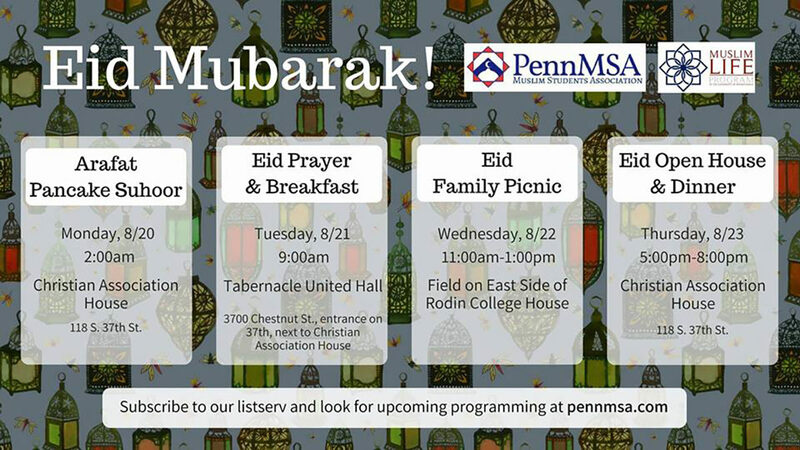 All are welcome to join Penn MSA in celebrating Eid al-Adha! Be sure to mark these 4 events into your calenders! This year, Eid falls during new student move-in, but we hope that in the midst of the madness, we can celebrate Eid together!